Storing data and materials in the cloud has made it easier for business users and individuals to share information through electronic documents. However, this has also opened up new vulnerabilities. A number of document protection solutions like Locklizard that employ client-side encryption provide the highest level of security for classified and confidential information as it travels from the user’s desktop, to the cloud, and to the permitted users’ desktop. But what happens to the data after the documents have been shared? Digital Rights Management (DRM) safeguards not just the cloud infrastructure but also the data itself. It addresses a wide range of security concerns including external hacking attempts as well as breaches from within the organization. Protecting data against breaches is crucial, whether malicious or accidental. In the latest study conducted by PWC on over 9,500 businesses, 31% incidents were from current employees while 27% of data breach incidents were from former employees. The effects of data security breaches can be calamitous for any organization. Classified data can give competitors an edge, while disclosures of confidential information can seriously affect an organization’s reputation. Moreover, they could also be fined heavily within compliance frameworks. It is imperative that organizations consider the potential legal consequences of document leaks, including abuse of their intellectual property. By controlling what an authorized user or reader can do or cannot do with the document, DRM ensures that sensitive information or intellectual property in reports, training courses, etc., is not copied or distributed without authorization. For instance, if an organization has classified data that needs to be shared because of due diligence requirements, it may want to ensure that those documents do not reach any other individual other than the intended recipients. Just as password protection secures files against unauthorized access, DRM can be an effective barrier that can impede documents from being disseminated easily and prevent unauthorized use. DRM technology is widely employed by commercial publishers worldwide to secure online works such as e-books, videos, and music. Large enterprises use DRM technology to manage the access of classified data and control the sharing of content. It is crucial to use a DRM solution offering a high level of security but at the same time is user-friendly so that organizations do not need to invest in expensive infrastructure and large IT teams for overall digital safety. DRM technology compliments the overall cloud storage solutions. This is because documents are secured during transmission and on the cloud with end-to-end encryption via the cloud storage solution. Here, DRM technology can provide greater control to businesses by extending security to documents once they have been distributed. An effective DRM solution secures data by combining strict rule definitions, distributed information control and the capability to revoke access to files to guarantee overall data security in the cloud and on the devices of users. A document owner must provide different privileges to end-users in order to control which user can use a file versus another user who can edit, copy, print or disseminate it further. With DRM technology, administrators can lay down access levels on all encrypted folders and define the roles easily across departments. Such granular permissions can offer phenomenal control and further complicated collaboration for classified content in documents. Once allocated, these defined roles transmit to all the users’ devices, implementing granular practices plotted to each defined position. 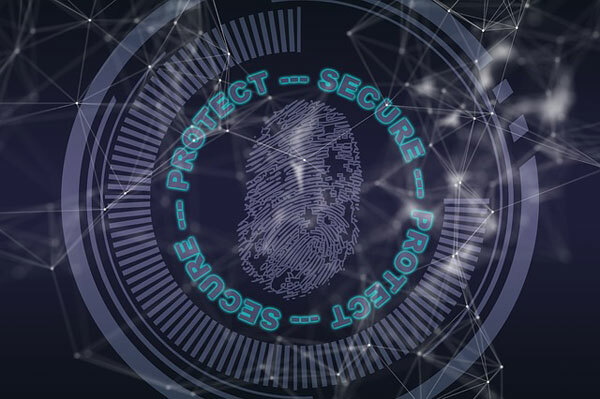 DRM technology provides distributed control of data to any device or users because all content in the record or document is encrypted securely. Even if sensitive information falls into the wrong hands, intruders will be unable to access them due to the layers of encryption in the DRM technology and services that power it. Moreover, if a user attempts to share protected data via email or copies it onto a pen drive, the permission rights in the DRM-protected document travel along with it ensuring it cannot be opened without permission. DRM technology is a must for any organization that is looking to keep its data safe while stored on the cloud and at the same time while in transit to users. However, organizations that need to collaborate on classified documents must safeguard data after it has been shared. With a document DRM technology solution, controlled and secure collaboration can be made possible for an organization of any size. By pairing the DRM service with cloud storage and sharing solutions, organizations today can have end-to-end protection on their documents to share data securely.